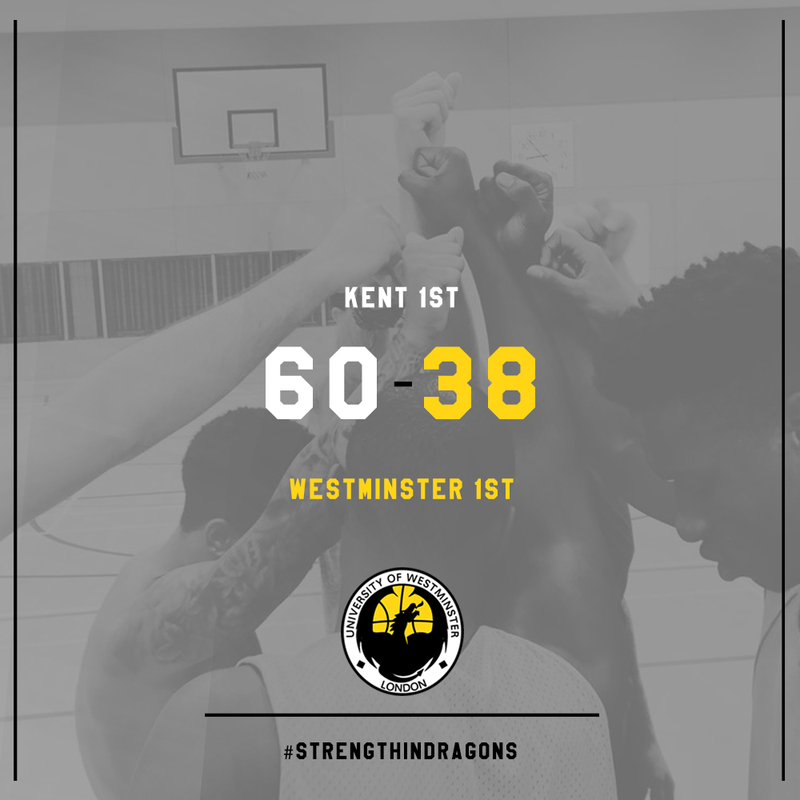 Westminster 1st fall to their biggest defeat of the season, losing 60-38 to Kent University 1st. Dragons were missing key players including 2 starters, Captain Lemar Darien-Campbell (Ankle injury) and Shooting Guard Atilla Öztuncay. Westminster had to battle it out with 9 players strong in the long away trip to Kent. Despite a close 1st quarter, Kent proved too strong inside and a 2nd and 3rd quarter push made it a tough task for Westminster to get back into the game. Teo Psychidis finished top scorer with 19 points as freshman guard Vlad Petrea added 9 points on his 1st start for Westminster. Vice-Captain Petr Soukup contributed 6 points. Westminster Dragons (1-1) will be back in action this weekend as they take on the undefeated Urban Foxes (2-0) in the LMBL Men’s Division 2 @ Harrow Sports Hall, 2:30pm tip.